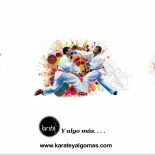 Árbitros de la WKF Youth League en Sofía ¡IMPORTANTE! /Referees to the WKF Youth League in Sofia IMPORTANT! Please read the massage from the organizers of the WKF Youth League in Sofia. There are more than 1,800 registered competitors from 70 countries from all over the world for the Youth League. This will give you the opportunity to participate in many matches at a very high level of competition. The Bulgarian National Karate Federation offers hotel accommodation and food to all international referees and judges. Esta entrada fue publicada en 14 mayo, 2018 por Hito Kata San men en WKF y etiquetada con WKF Youth League Sofia.